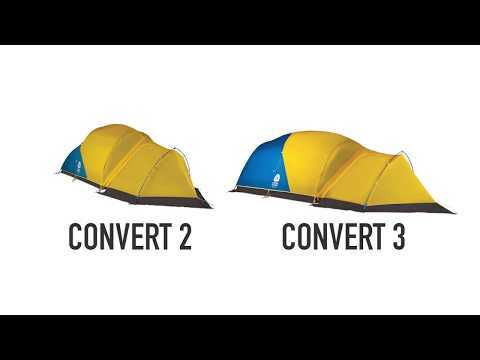 The Convert tents have been redesigned to offer a fully removable fly and larger vestibule making them even more versatile than their predecessors, while still remaining one of the lightest weight most livable four season tents in the market. I recently purchased this tent to fill a hole in my winter camping gear suite. 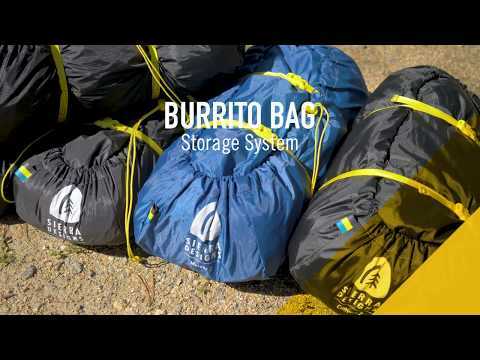 My current small bivy tent is great for fast and light alpine adventures, but I was looking for something large and comfortable to wait out cold weather/nasty storms. So far this is looking like it will do the trick. We've had a mild winter here so far, but the tent has performed phenomenally. Both nights I've had it out we were pitched on snow. Pitching is straightforward, with color coding on the poles to make sure you set it up correctly. 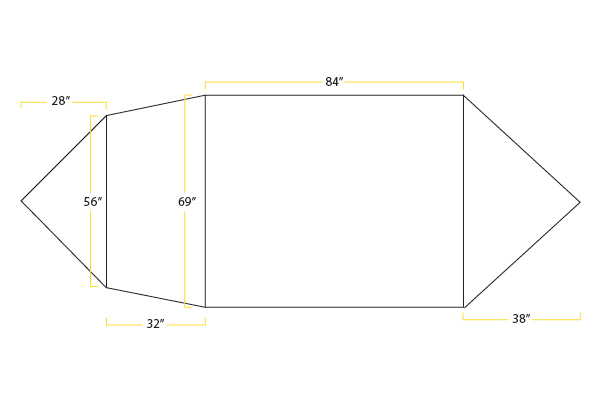 As for poles, there's essentially 3 of them: one large assembly for the bulk of the tent, a middle pole to add some 4-season stability, and a 3rd pole to stake out the vestibule. Speaking of the removable vestibule, it is HUGE. A large vestibule is something I wanted in a 4 season tent, and this is among the largest I've used. It is incredibly easy to cook in the vestibule while the bulk of your body is inside the main tent and staying warm in a sleeping bag. There is even a second, smaller vestibule, which I found myself using for climbing gear and ice boots, keeping the clutter down in the primary vestibule. Both vestibules have storm flaps to bury in the snow so you can really hunker down. Awesome design on those two. The primary tent is incredibly spacious, and easily accommodated 4 people sitting up and eating dinner. I would say that you could even sleep 4 people in an emergency. 3 people is the perfect number, with no worries about rubbing shoulders with anyone you should be sharing with, and lots of room to move around and dress/undress. There are a plethora of hanging tabs in the tent (probably 8 to 10), and drying layers was a breeze with a simple clothesline setup. If there's one complaint with the interior, it would be the pockets. It is incredibly nice to have them, but I found them to be a bit shallow and strangely angled. My phone and a few other items would fall out when I brushed up against them. Nowhere close to being a deal breaker, but something to note. The first night spent in the tent was around 38 degrees F (warm! ), and the second night was only 29 degrees F (still warm!). I was incredibly delighted to wake up with no condensation on the inner walls, even with a tent full of people. The double wall design really does wonders here! The only thing left is to test this thing in high winds (it has handled 20 mile an hour gusts without issue) and serious precipitation. While I'm a little concerned about the thin fly and tent body fabrics, I am sure this will perform really well in true 4 season conditions, especially with the plethora of guy options that exist. The fly goes on very taught, and the guys boost confidence immensely in the lightweight tent. Overall, this is a fantastic 4 season tent. While I have been unable to truly test its merit in rough conditions, it has proven to be the most livable 4 season tent I have had the pleasure of staying in. And at around 7 lbs for the immense square footage you get, it's getting close to 3 season weight/space ratio! You can't argue with that!